5. Chinese Mobs and the "Heroin Broadway"
1900 - Chinese sailors settle in Amsterdam, setting up restaurants and opium supply. 1900 Dutch Colonial Bank founds the Netherlands Cocaine Factory (NCF). Industrial production of cocaine starts in Amsterdam, for medical and recreational purposes. 1911 First International Opium Conference (The Hague, Netherlands). Opium trade becomes subject to agreements. 1914 World War I: NFC sells cocaine to both sides of the conflict. 1920 NCF produced 20% of the world's cocaine. Legal restrictions start. 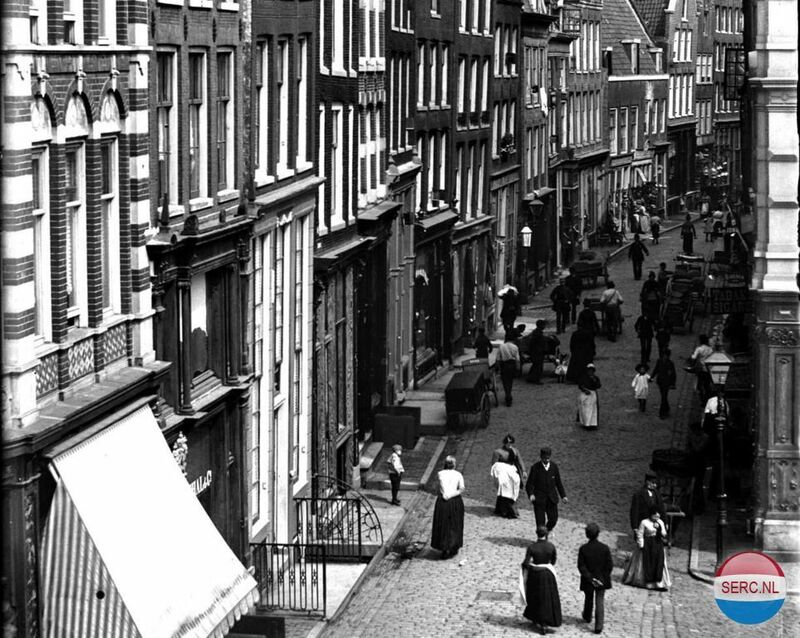 1920 Amsterdam has several Chinese restaurants, shops and opium dens. 1930 NCF starts to manufacture opiates (morphine and codeine), due to the fading out of the more regulated cocaine market. Amsterdam Chinese are mostly poor. They start selling peanut cookies on the streets. Most flew or were deported, leaving about 1000 residents. 1940 World War II: NCF opiate sells increase. Ephedrine production starts under Nazi occupation. 1950 Chinese restaurants start to spread allover the Netherlands. 1960 Opium becomes familiar to Dutch hash and speed consumers. 1966 Dutch journalist Nico Polak lists “12 Chinese restaurants, four gambling houses and two opium dens” in Amsterdam’s Chinatown. 1970 As American Troops withdraw from Vietnam, Chinese heroin needs new markets. The Zeedijk becomes “The Heroin Broadway”. The police had their hands full with the more dangerous hard drugs, so they decided to stop prosecuting the weed and hash users. 1975 - Rusland opens (First licensed coffeeshop). About 10 coffeeshops that year. Quality Marijuana was hard to find. 1976 Opium law from 1919 was finally changed. Drugs were now categorised: unacceptable health risk vs. hemp products. 30g of hashish was no longer a felony but now a misdemeanour. 1977 Amsterdam has about 5000 hard drugs users 5000 users. Dutch administration takes major steps to stop the drug epidemics. 3000 Chinese were immediately deported, leaving a gap soon filled with many small Turkish organisations. Police looses insight on the hard drugs scene. 1980 over 10.000 people in Amsterdam were addicted to heroine. Many died of overdose. After 1985, HIV/Aids arrived and the sharing of needles to inject heroine caused even more deaths. In 1985, the area around Zeedijk and Chinatown was ‘swept’ clean, to end the illegal street trade in drugs and the Chinese neighbourhood started to flourish. Since 1996, no new changes have been made to the Opium Law. Anyone who possesses or trades a small quantity of soft drugs or cultivates less than five plants for personal use will not be prosecuted. The directive states that the offender has to relinquish the drugs and that they will be taken out of circulation. For the possession of larger amounts of soft drugs, first-time offenders incur a fine; offenders who have been caught twice will either incur a fine or community service; and offenders who have committed multiple offenses will either have to pay a fine, do community service, or serve a prison sentence. an application for an exemption from the Opium Act for cannabis and cannabis resin can be filed with the Bureau voor Medicinale Cannabis (Office for Medicinal Cannabis Research) for reasons of public health, animal health, academic or chemical analytical research, training, or trade-related purposes. bringing drugs into and taking them out of the territory of the Netherlands, and growing, preparing, treating, processing, selling, supplying, providing, transporting, possessing, and manufacturing drugs, is prohibited in the Netherlands. Amsterdam implements distance requirement of 250 meters between coffeeshops and schools. Mellow Yellow is forced to close its doors. Some cities like Amsterdam have chosen not to enforce the Dutch residency requirement in coffee shops, because they generate most of their income from tourists. Around 1900 many Chinese seamen arrived Western ports, fleeing their country because of hunger or war. In Amsterdam they settled at the Binnen Bantammerstraat - a small street close to the harbour area. It was a relatively small compared to Rotterdam, where the largest harbour was located.